Former Attorney General Githu Muigai’s father was Clement Lubembe.A photo of his father has emerged and he resembles former Attorney General. 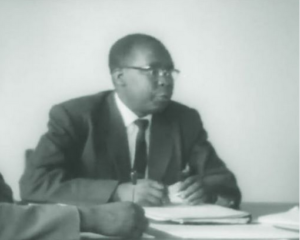 Clement Lubembe was the former MP for Ikolomani and father to former Attorney General Prof. Githu Muigai. Most Kenyans believe that Githu Muigai hails from Central Kenya but the fact is,he is a Luhya. Below is the photo of Clement Lubembe.